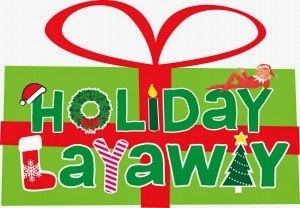 Would you rather put holiday spending on your credit card or pay for it through a layaway program? Many Americans are opting for the latter, helping retrench these time-honored payment plans. Walmart, Sears, Best Buy and TJ Maxx are just a few of the major merchants now offering layaway. In fact, Toys 'R Us has expanded its layaway program to include most toys, rather than just the big-ticket items. Layaway nearly vanished before the recession, as credit card use grew in prominence. Stores preferred we swipe away because it was easier than handling all that paperwork. But with consumers leery of facing too much holiday debt -- and threatening to spend less this year in stores -- retailers began using layaway as a means of luring us back. While this all sounds well and good, there are problems related to such programs. Here are a few "Do's" and "Don'ts" you should consider before making the leap. You'll have to sign a contract or layaway initiation form, which naturally contains a lot of vital information you could easily overlook. Don't let a long line or impatient clerk rush you through checking each detail so you know what to expect. There's a fair amount of paperwork, processing and labor involved in layaway plans, so stores charge a start-up fee for each order. Consider the amount of that charge is worthwhile compared to the overall total of your purchase. Should something happen and you decide not to go through with all payments, you'll likely have to pay a fee of roughly 25 to 30 percent of the total price of the layaway plan. That's a hefty fine for changing your mind, so make sure you really want the item before placing it on layaway. Add up the potential costs and consider whether you'd be better off placing a purchase on a credit card. According to a New York Times op-ed by Cornell professor Louis Hyman, a typical shopper could wind up paying far less interest by using a credit card, even if it has a fairly high APR. Plus, a credit card gives you purchase protection and, with some companies, price protection. Don't let a sale combined with a layaway plan talk you into buying before researching your options. You'll often find better deals online and it's a lot easier to comparison shop with your mouse. Search for promo codes to use toward your coveted item, and then compare the total cost of the online purchase to what you'd ultimately pay by putting it on layaway. There's a limit to how long Walmart will store your stuff. As with other stores, they want to move it before Christmas, so check to ensure you have enough time and cash to pay the entire debt off on time or you'll forfeit everything you've already paid. Mark that date on your calendar and make sure you make all payments before it hits. Some merchants prefer to set-up automatic checking-account deductions, ostensibly to save you the hassle of coming in to make each payment. In actuality, it's just another way to make sure they get their money. Should one of those payments bounce, however, you'll be socked with a healthy overdraft fee from both the merchant and your bank. Once again, mark on your calendar the date each deduction will be made, so you can double check the balance in your account. It's hard to part with cash during the holidays, when other expenses build up, but the fees you incur with a layaway plan aren't always worth it if you can pay cash now and avoid the hassle. 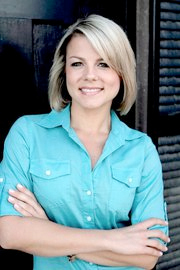 Andrea Woroch is a consumer and money-saving expert for Kinoli Inc.